Elemental Alumnus Harry Chin has won a ShakeStir flash contest with his Debbie Reynolds Cocktail (yes, it’s a true cocktail)! Congratulations, Harry! Keep up the good mixing! It has been said (in a thoroughly modern gloss) that the traditional American drink known as the fix is essentially a sour made fancy with pineapple syrup. That simply isn’t true according to historical sources. 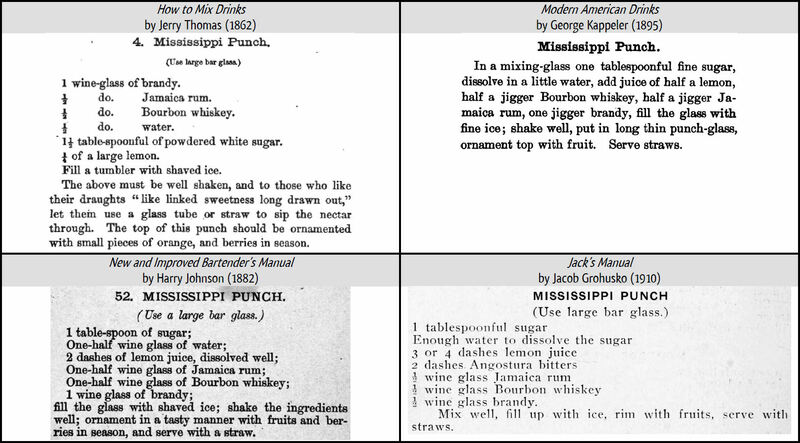 What is true according to virtually all pre-1920 fixes is that they are short punches always served with ice in them, where the sour is a a short punch not served with ice. 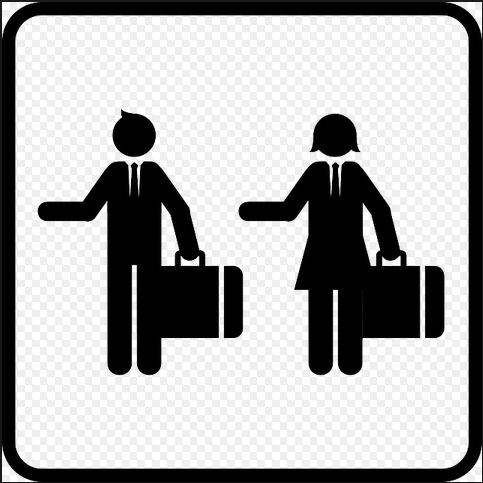 That is the irreducible difference between fixes and sours – traditionally-speaking. 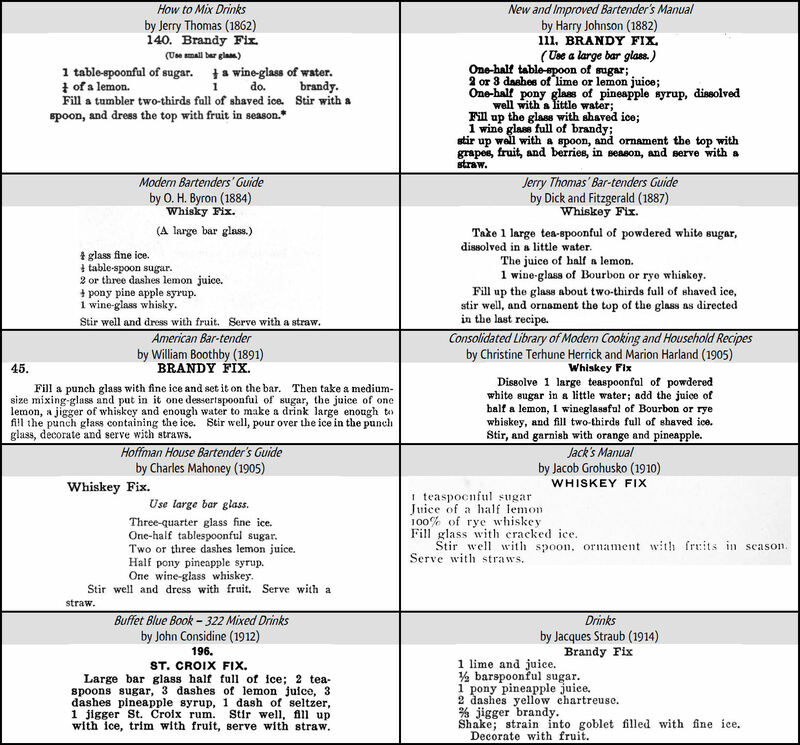 Below is a survey of some recipes for fixes that were published before 1920. Of the ten recipes above, five are plain – being sweetened only with plain sugar. The other five are fancy – with four being at least partially sweetened with flavored syrup and the other with both flavored syrup and liqueur. Assuming medium-sized lemons or bartender’s lime (Citrus aurantifolia, a.k.a. the Key lime), the sour juice amount ranges from about ¼ fl-oz. (“¼ lemon” or “1 lime”) all the way to about 1 fl-oz. (“juice of one lemon”). The most common amount for the sour juice is about ½ fl-oz., being either the juice of half a medium lemon or about 3 dashes from a bottle with a standard-sized mouth. Four of the recipes include a slight amount of water suitable for dissolving sugar with. 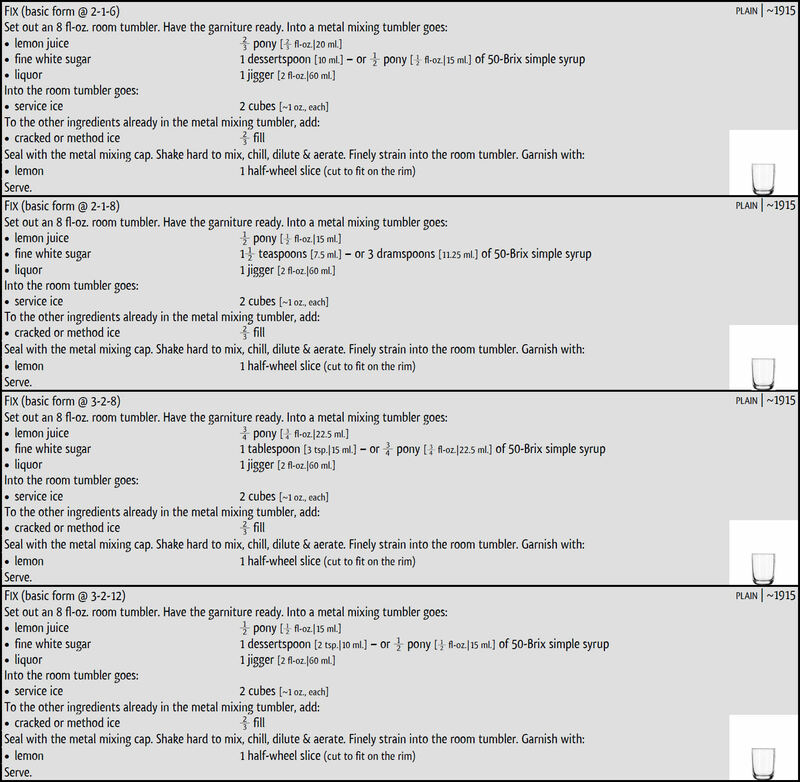 One includes “enough water” to make the drink fill the glassware. Only one explicitly includes a relatively large amount of water. Four of the recipes have no added water as a measured separate ingredient at all. The mixing method for most of the above is to stir the drink in the same ice it will be served in – making many pre-1920 fixes essentially the same as many post-1933 swizzles. The method in the last recipe, from 1914, seems most modern in that the drink is shaken and then strained over fresh ice. 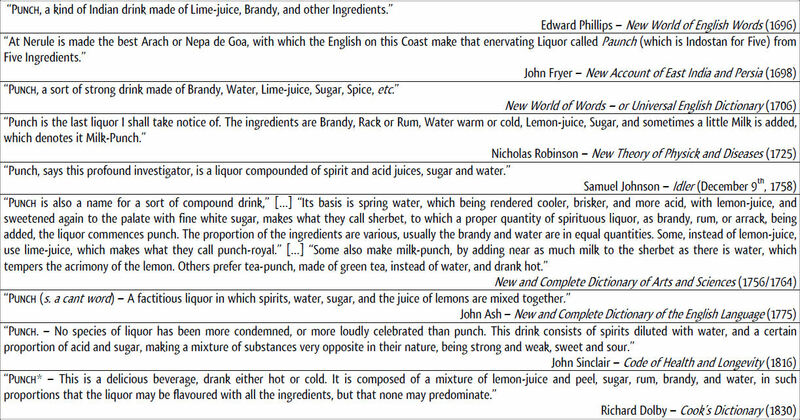 Surveying pre-1920 fixes (including many not shown here) for majority opinion, reduced to a minimal set of features, this author finds that fixes are short punches (being made without added, liquid water as a measured ingredient) that are always served with ice in them. Your last Whiskey Sour might have been more of a Whiskey Fix! As the nineteenth century drew to a close, punches began being published in recipes with less and less added water as a listed ingredient. Notice that the earlier sources use a full fluid-ounce of water (half a wine-glass), but that the later ones use just enough to dissolve the sugar with. This development led to standard punches often being essentially the same as fixes. I like to call this historical phenomenon the ‘fixification’ of punches. Notice that in the above source, the fix and the punch have become very similar, being made with at least ½ fl-oz. of sour juice (3 dashes), without any more water than needed to dissolve sugar with, and served in ice with fruity garniture and straw. It may be tempting to conclude that the main difference in flavor between the two drinks above is that the punch is sweetened with plain sugar where the fix is sweetened with a fancy syrup (pineapple). 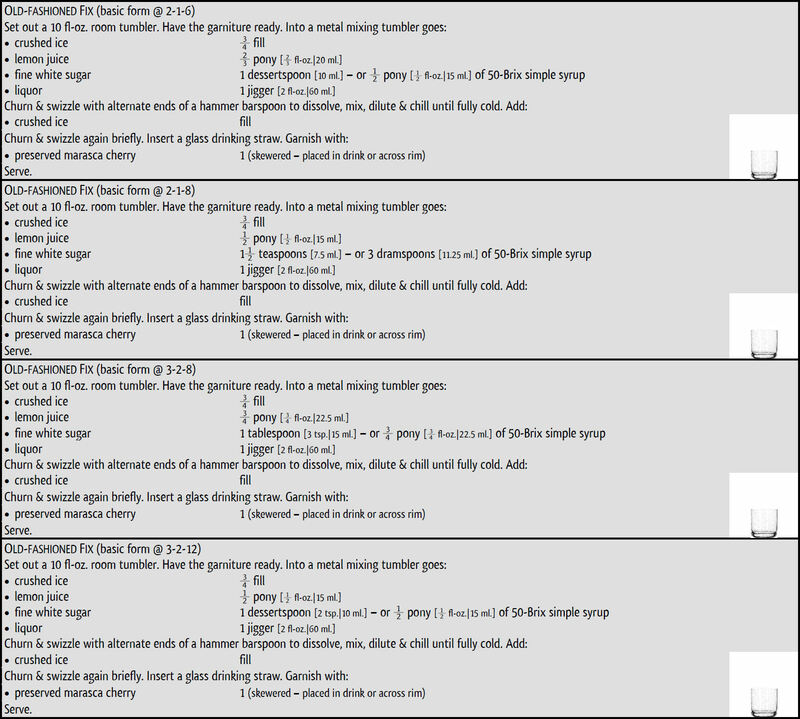 But, as shown on the previous page, recipes for fixes were also often completely void of any fancy sweetener. In fact, some historical sources regularly made their fixes plain and their punches fancy. Before the Volstead Act (prohibition in the U.S.A.), swizzles were thought of as an especially Caribbean, crushed ice version of the American cocktail and did not usually contain any juice. This type of drink was not any more immune to the punchification of drinks, in general, than the true cocktail. After the repeal of the Volstead Act in 1933, swizzles appear in books as punches generally (with sour juice) – and especially in an additionally-aromatized twist on the form of the old fix, in crushed ice. Is a fix any less worthy than a sour? Of course it isn’t! Does a fix need pineapple syrup to be good? Of course it doesn’t. My favorite fixes don’t have it. One of the best fixes ever is the serano-accented rye whiskey fix known as the Future Fix — a drink by my friend, Greg Bryson. Rosie Schaap recently wrote about the daisy for the New York Times. I like the New York Times and I am sure that Rosie is a lovely person, but her attempt to connect with the historical drink known as the daisy was a failure in two ways. Firstly, daisies were always strained and never served in ice. Secondly, her assertion that a daisy is “essentially a sour enhanced by some agent of effervescence” is simply not supported by the historical sources. Yes, the daisy is a fancy sour, but it is a gloss in the mind of modern readers to assume carbonation is essential. There are many pre-1920 daisy recipes that contain no carbonation at all. Many do contain carbonation. But, one should understand that using squirts or splashes of carbonated water, especially to dissolve sugar with, was simply the state of affairs for mixing drinks in the the late 1800’s. I have seen plenty of recipes from that time that add squirts of soda water to their punches, sours, and even Manhattan Cocktails. 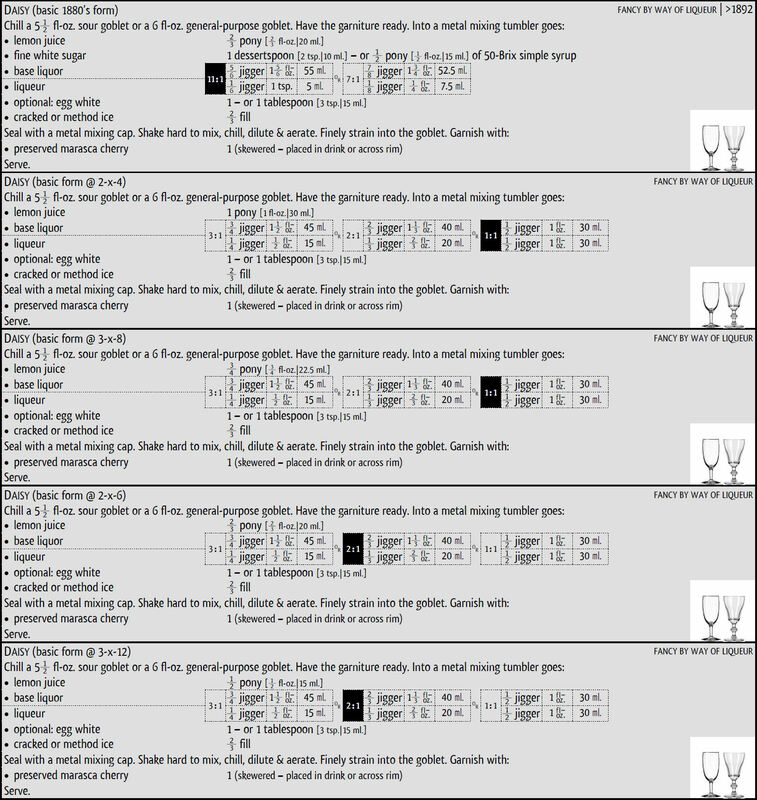 Would anyone half-way awake to the traditions of American mixology read a couple of recipes for the Manhattan Cocktail from 1890 that contained squirts of soda water and come to the conclusion that the essence of the Manhattan is that of a Whiskey Cocktail “enhanced by some agent of effervescence”? I should hope not! Here is what the historical sources actually say about the daisy. Notice above that the essential difference between Harry Johnson’s sours and his daisies is that his daisies are fancy by way of a modifying liqueur. Notice that both contain just enough carbonated water to dissolve sugar with. Using carbonated water to dissolve sugar with in making any type of drink was fairly common practice at the time — even faddish. The use of a little carbonated water in the daisy above should not be considered in any way definitive to the nature of this drink. 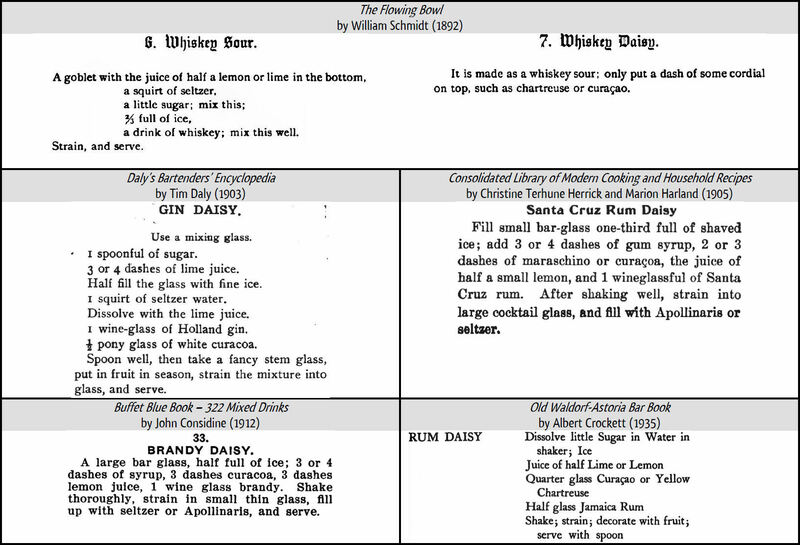 Though Johnson’s daisies seem to be earliest published recipes for this type of drink, he was not the only one that made daisies as liqueur-modified sours. Notice that William Schmidt explicitly states the irreducible nature of the daisy. In his opinion (and that of this book), adding liqueur to whatever your basic sour is creates a daisy. In the late 1800’s, it was very common to dissolve the sugar in any type of drink with carbonated water. 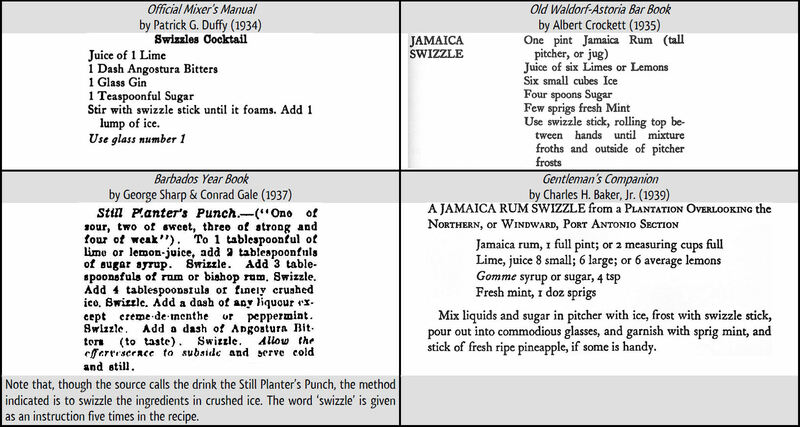 The squirts of carbonated water listed in Johnson’s Jamaica Rum Sour on the previous page and Schmidt’s regular Whiskey Sour above are not at all unusual during that period. Two of the above daisies add carbonated water after straining, but the indicated glassware (3 fl-oz. large cocktail goblet or the small 3 fl-oz. tumbler) of the era would only allow a small amount of fizzy water. By the time of Crockett’s daisy, the fad of using carbonated water in everything had passed, and he uses flat water with which to dissolve the sugar. As can be seen below, added liquid water (of any type) as a listed recipe ingredient is not central to the identity of the traditional daisy! Back his Rum Daisy above, Crockett suggests either lime juice or lemon juice. He also indicates either Curaçao liqueur or Chartreuse liqueur. If one were to follow his recipe using lime juice and Curaçao liqueur (each the first-mentioned of the options), and to base the drink on Tequila mezcal instead of rum, the drink would essentially be a well-known drink called the Margarita – which means ‘daisy’ in Spanish! Here are some of the ways I like my daisies. I walked into a thrift store in Portland on Saturday and found seven Libbey #8475 5.5 fl-oz. sour goblets (not the case pictured above). I bought all of them for $0.99, each! Until about 2010, I used to find those fairly commonly in thrift stores down in big, bad Los Angeles. Unlike then, I am not going to broadcast exactly where I found them here! 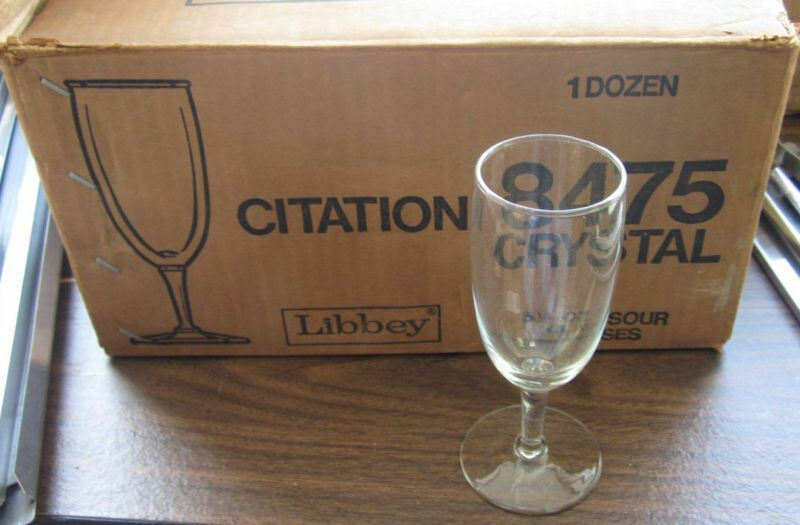 Libbey discontinued this wonderful sour goblet in the mid1980’s. They should certainly bring it back!